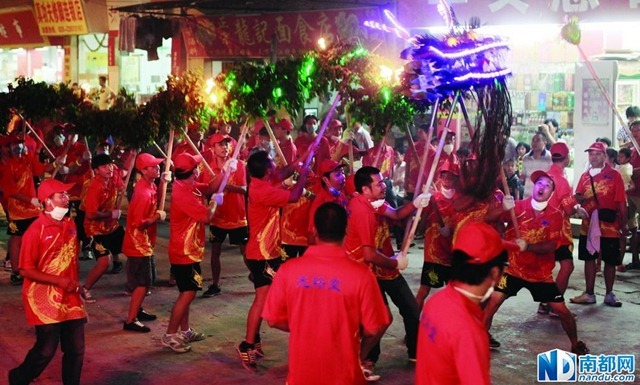 Ever since Yuan Dynasty in 1360s, fire dragon dance has been a huge Mid-autumn Festival folk custom in Guangzhou’s Baiyuan District. 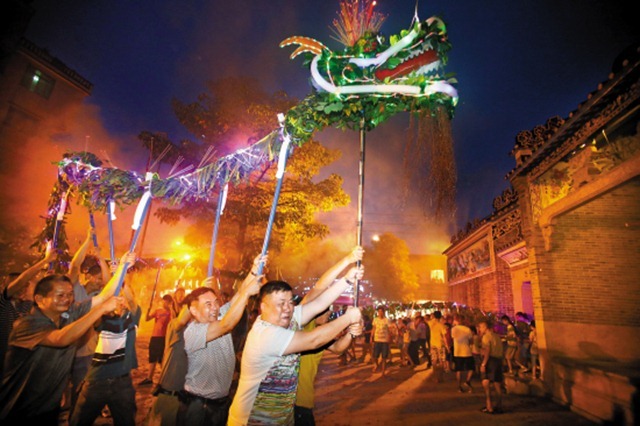 On the night of the full moon, all lights will be on and villagers will lead 4 fire dragons dancing throughout the alleys and streets, as a way of praying for good weather and good harvests next year. 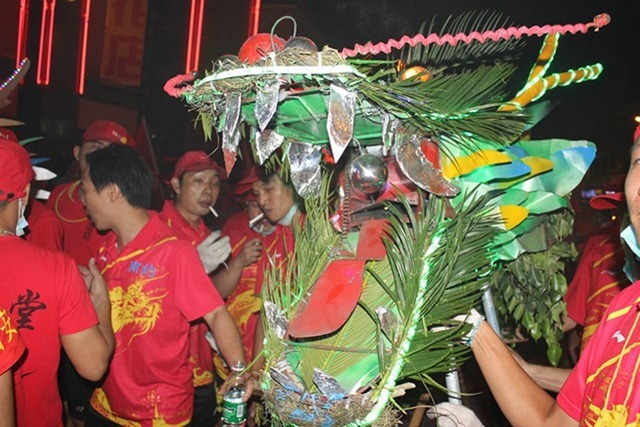 The 4 fire dragons are hand-made by different family clans in their respective temples. 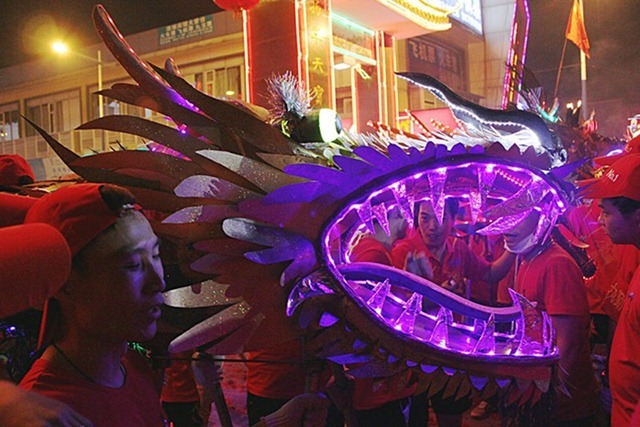 Every year the making of fire dragon will be added some more innovative touches than the previous year. 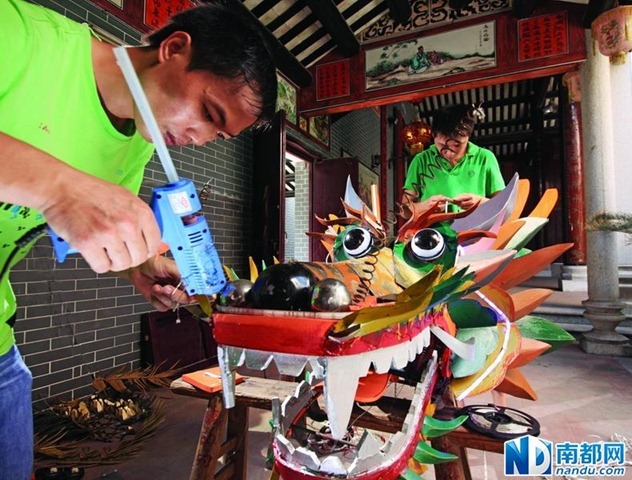 The dragon head is the most complicated and time-consuming part. 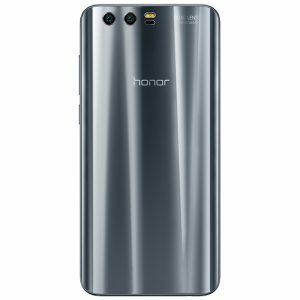 But the materials are not strictly limited, one can make use of iron chips, banyan tree roots or plastic form etc as they see fit. 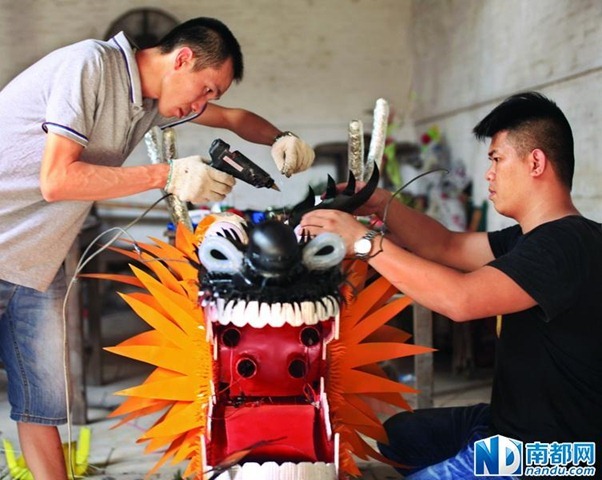 Today, in order to make the dragon head shine out more in the night, villagers will put a circuit board inside the dragon head to control the lighting effect, and then supplement with LED light strips and mist spraying devices. 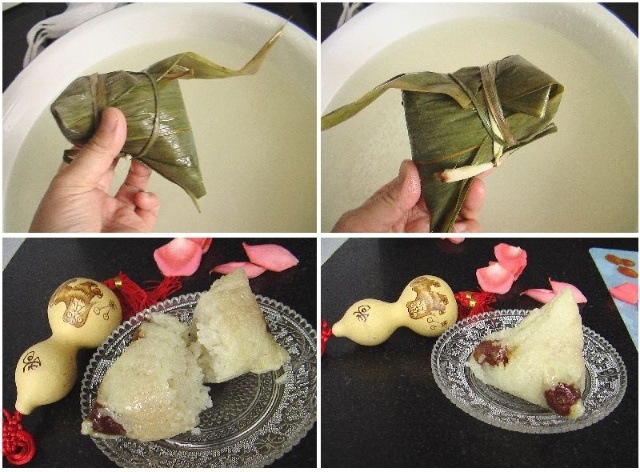 When the dragon head is done, a water taking ritual is in order to symbolically bring the dragon to life. 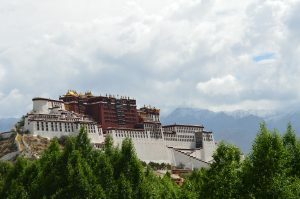 After that, the dragons will be placed beside the temples and worshiped by the villagers. 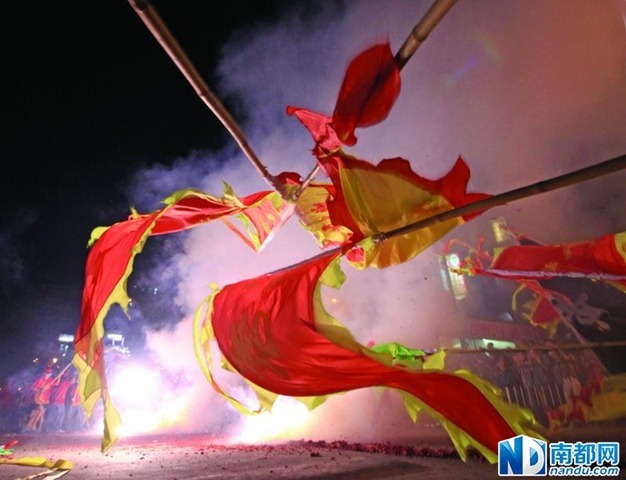 7 o’clock at night, the fire dragon dance begins. 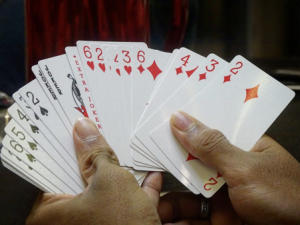 The average length of a fire dragon is 18m, which requires 50-60 people to work together in making it dance. 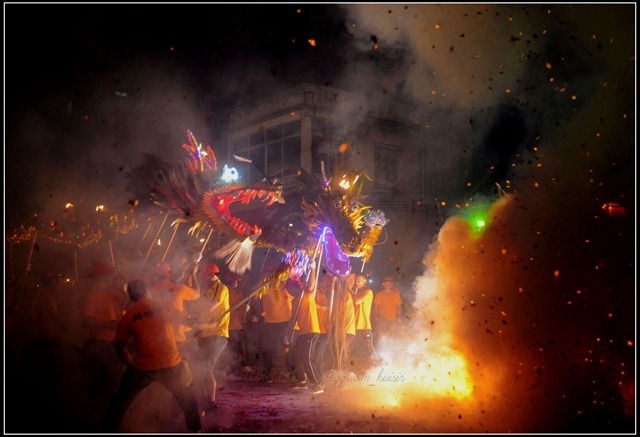 Anyone who can take the dragon can join the dance in turn and dance under the fire dragon until midnight. 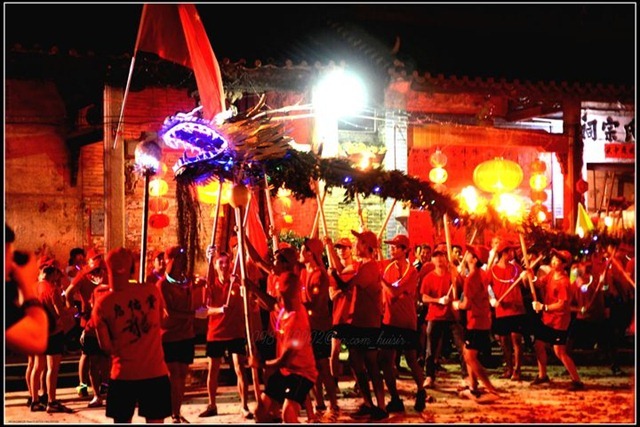 When all the alleys are covered by the dance, the fire dragon will “fly” into the river, signifying “dragon returning to the ocean”. Post-70s Zai Huan has mastered the art of fire dragon making since he was a teenager. 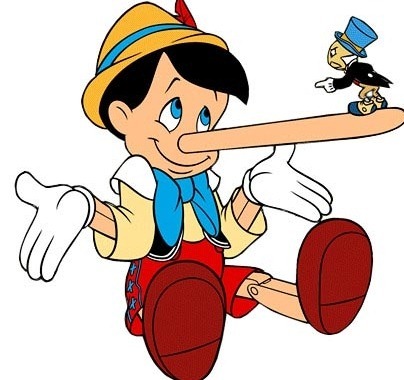 Now his partner is a post-80s Jing Xian. 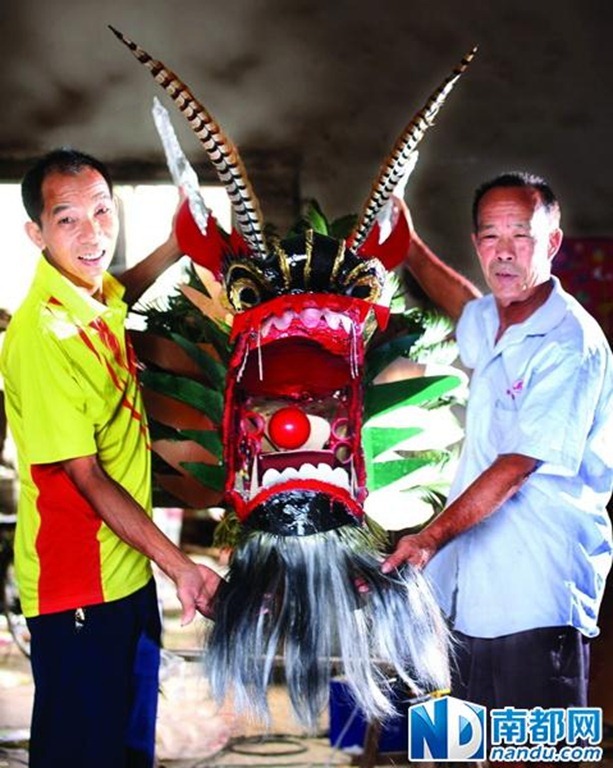 This year, they use rattan to make the frame of the dragon head which weighs over 20 kilos. They have already spent 10 days in making the head alone. 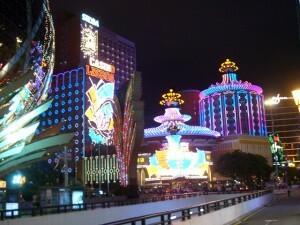 The night before the fire dragon dance, they worked until 4am doing final testing of the lighting effect. 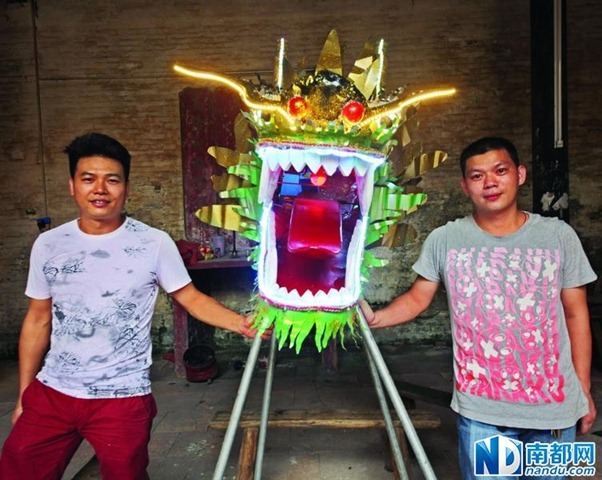 Tim and Liang have been in charge of making their family fire dragon for 4 years. They used the rubber from shoes to make the dragon teeth. Huang Clan’s dragon can blow fire thanks to the masters 60 years old Uncle Hao and 50 years old Uncle Ying. 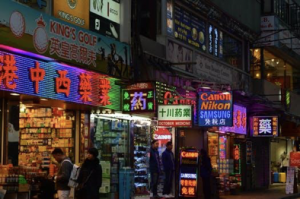 To make it even fancier, they asked for the help of university student Ah Guang who majors in electronics. Ah Guang added a circuit board and some LED lights and mist spraying device to the dragon head. Thanks to him, the 25m long fire dragon couldn’t be more majestic.